This delicious dip has fast become one of my favorite easy appetizers for any type of party. 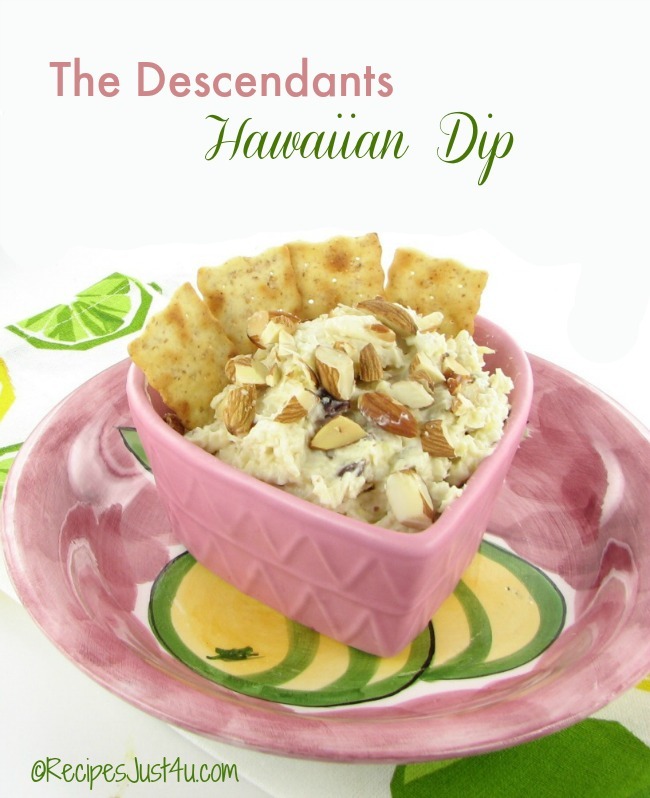 Treat Your Party Guests to the Descendants Hawaiian Dip. If you are looking for 30 minute meals or a dip that is ready in no time at all, this recipe will be one that you’ll try again and again! 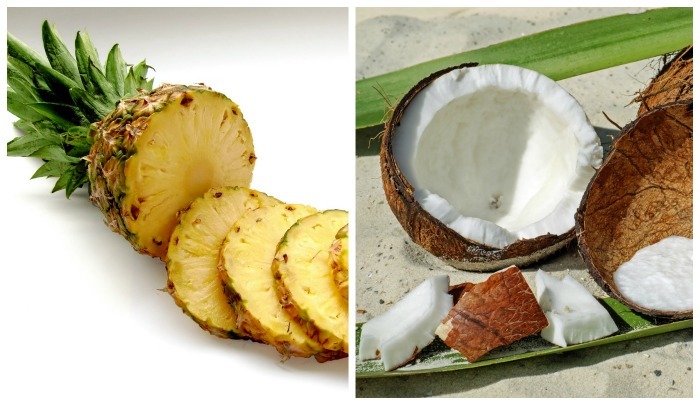 This dip has a cheesecake like texture and the pineapples will make you think that you are one of the descendants! I have adapted the original recipe that I found on Food it Forward with my own version. 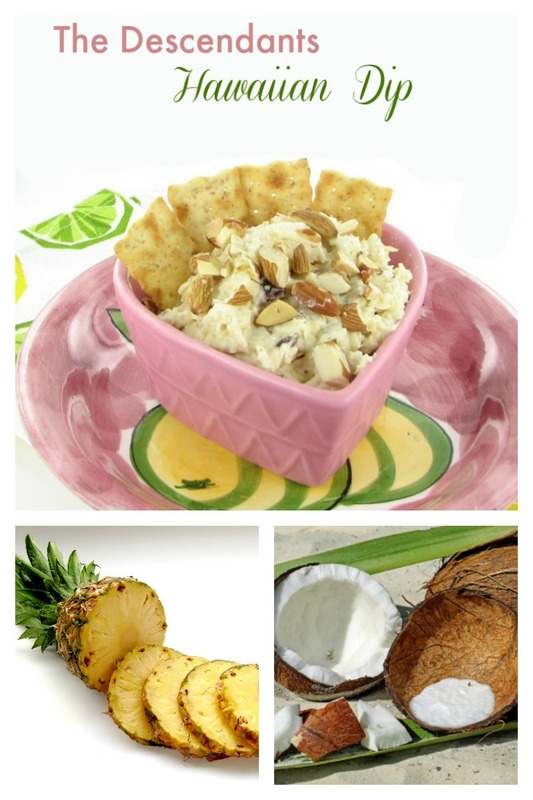 My recipe still has the delightful combination of pineapple, coconut and cream cheese with my own twist for variety. The end result is a sweet and decadent dip that will have you thinking you are one of the descendants of the Hawaiian family sharing your own family recipe! This dip could not be easier to make. Just bring the cream cheese to room temperature and place all of the ingredients, except for the nuts in a food processor and blend. Then place in the fridge for 30 minutes and serve with your favorite crackers, or pita bread. Fruit and veggies also go very well with this delicious dip. Garnish with some chopped nuts and enjoy! Have a fun movie night! If you would like a reminder of this recipe later, just pin this image to one of your appetizer boards in Pinterest. Let the cream cheese come to room temperature. 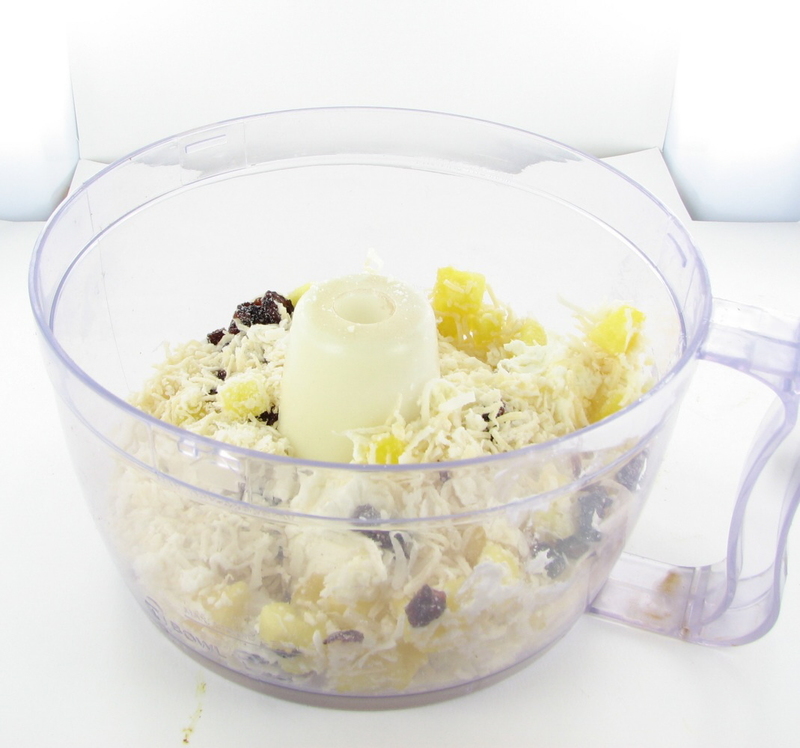 Place all of the ingredients, except for the chopped almonds, in a food processor and blend until smooth. Refrigerate for 30 minutes before serving. 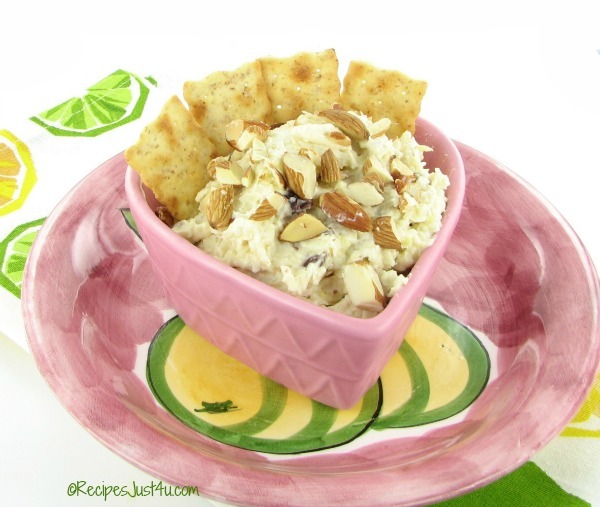 Serve with your favorite cracker or pita chip.